Former Ekiti governor Ayodele Fayose was granted bail Wednesday morning over the N30.8 billion fraud charge slammed on him by the Economic and Financial Crimes Commission. 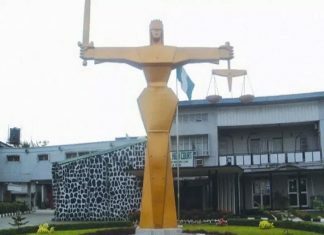 His trial will start on 19 November, Justice Mojisola Olatoregun ruled. 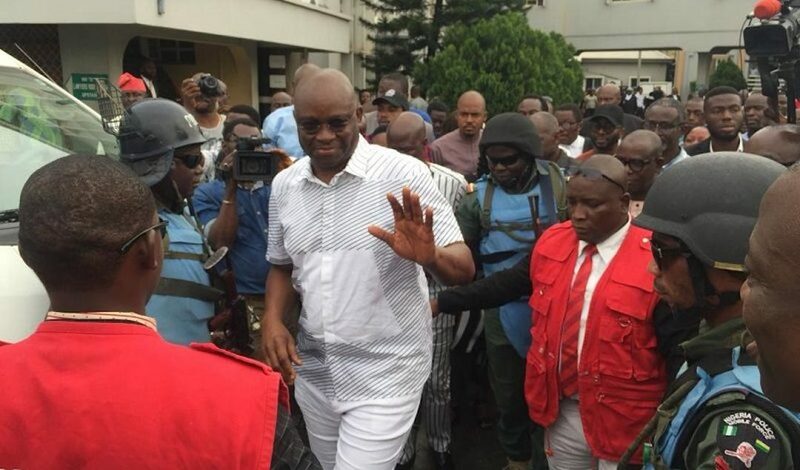 Fayose was docked at the Federal High Court in Lagos on Monday alongside his company, Spotless Investment Ltd, on an 11-count charge of N30.8 billion fraud. His lawyer Kanu Agabi SAN, moved a motion for his bail, after which the judge ordered Fayose’s remand in EFCC custody and adjourned hearing till today. Agabi, a former Federal Attorney-General , urged the court to grant Fayose bail on the ground that he voluntarily submitted himself to EFCC a day after leaving office as Governor of Ekiti State. In addition, he said, Fayose had no criminal record. Mr Rotimi Jacobs, SAN, prosecuting for EFCC, countered on the ground that the day Fayose appeared in EFCC Abuja he came with a lot of hoodlums that nearly attacked the EFCC operatives before they were repelled. He was probably referring to the crowd that included Governor Nyesom Wike and former aviation minister, Femi Fani-Kayode. Rotimi also told the court that investigation was still ongoing to trace some of the properties bought by Fayose with the stolen money and if granted bail, he will scuttle investigation. 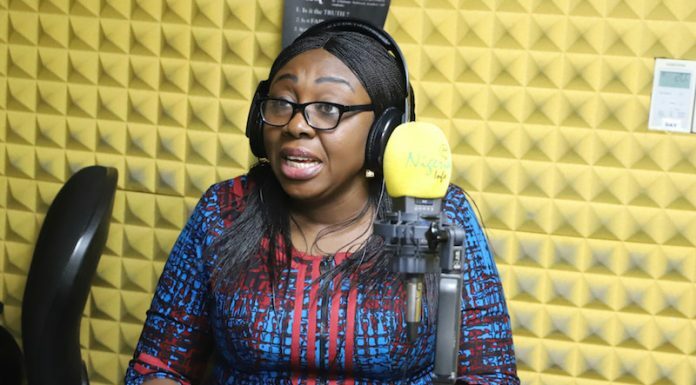 Justice Mojisola Olatoregun said since the offence alleged to have been committed was a bailable offence, she was inclined to grant Fayose bail. She thus granted Fayose bail in the sum of N50million with one surety who must own a landed property in Lagos. The surety must possess three years tax clearance and must also secure a bond of N50million from a reputable bank which will be forfeited if Fayose jumps bail. Fayose was also ordered to swear to an affidavit not to tamper with the witnesses and should deposit his international passport with the chief registrar of the court.